Contact: PM, or post here. 15 | MCPB | Ravenclaw Class of '91 | 5th Year Student | 10 Ada is an awkward turtle who's much more comfortable with books than she is with people. She isn't anti-social as such, just kind of painfully awkward and feels safer behind a book where she can't humiliate herself. She also really wants to be a proper lady to make her family happy and live the Victorian Dream of getting married and having all the babies, but she also really doesn't actually want to do any of that. So. You know. That's fun. SHE NEEDS. ...All of the things. But it would be good for her to have friends! Maybe people who can get her to be less of a nerdy shut-in. Or people who share her interest. 20 | UCMB | Ravenclaw Class of '86 | Apprentice Potioneer | 7 Harry is a nutter. But a harmless nutter? He loves Potions more than people, and he really, really likes people. He's fairly easy-going, 99% of the time, and High Energy. He's a little weird, only a couple loose screws away from being a proper Mad Scientist, but also, like. The friend you'd call at 2am after your car broke down. I don't know what the Victorian version of that is, but you get it. [b]HE NEEDS. Friends! People who don't mind his absent-minded professor brain. People who share his interest(s). People who are easily badgered into submission, probably. Most of his friends would probably UC- or MCAB peeps. Probably not LC unless you went to school with him or are connected to Potioneering somehow. @Darling Whitledge - a Hufflepuff that is Ideal Victorian Girl when it comes to her etiquette and future wants. 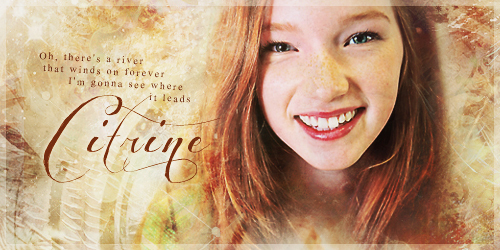 @Citrine Weasley - her dormmate that is a bit rambunctious and plays Quidditch. I also have two fifth year boys but they would have little cause to interact with her beyond classes but they are @Archelaus Abney and @Sage Macnair . @Justice Rookwood is my fifth year Ravenclaw. MCPB. He comes off as an arrogant jock, but is truly In His Zone while curled up in an awkward position with his nose in a book. He's a beater for the quidditch team, a true history nerd, and wants to go into academia when he's older. He also has two sisters that are played at the moment! @Frida Lestrange is my fifth year Hufflepuff prefect. UCPB. She's super nice and the least intimidating, sort of a disappointment for a Lestrange. She could definitely use some friends! While she's not really the bookish sort, she appreciates people who aren't... mean and unfriendly. So. @Eldin Bones is my sixth year Slytherin prefect. UCPB. He's into quidditch (he's a beater on the house team!) and academics, but mostly wants to make his family proud. Huge supporter of the Wimbourne Wasps, as his uncle is the team's sponsor. He can make assumptions about people who are considered social "lessers", but is otherwise friendly. I have 3 Hogwarts characters. Unfortunately, none are in her year, but I have two in her house that she might either know or meet eventually. I'll list them in order of usefulness. @Thomas Montgomery is a Ravenclaw Fifth Year who is obsessed and very talented at Transfiguration. He also plays as keeper on the house quidditch team. He can be fairly reserved, except among friends. In his first year, it came out that his mother ran off with a pornographer, so Ada likely heard of that scandal. He's a very nice boy despite being touchy and prudish about the subject. He's a loyal friend and would at least make a good study partner. @Archer Belby is a Ravenclaw First Year. He is also painfully shy and awkward. He is very interest in magical beings (ie. Werewolves, ghosts, vampires, etc. ), but he loves to read about anything really. He is especially antisocial because his mother works at Hogwarts as the astronomy professor. @Fleur Rey also exists. She is a Hufflepuff First Year, but, likely, she would just try to feed Ada random baked goods. Pru here is a 6th year and all about the quidditch and none of the husband+baby stuff. She's super friendly and would happily push Ada outside of her comfort zone. Hello and welcome back! I have just a few students but they could all use things! @Harrison Vance is a 5th year Ravenclaw with her. Quidditch player. Could fit the epitome of more brawn than brain thanks to his ego but he's far from actually being dumb. He does, however, think rather highly of himself and can be quick to temper. He hates being wrong in anything. So.. that could easily rub her the wrong way. HOWEVER, I feel like he could view her as an easy target for his "get the first kiss scheme" and could pursue her as such. He'd like abandon ship the moment he got that kiss unless true feelings started forming so that could be an up in the air thing if you have any interest! @Emmeline Woodcroft is a 7th year Gryffindor and prefect. She's sweet as can be and tries to befriend all the people and all the things! She's not the greatest at being overly ladylike anymore simply cause she's finally been coming into her own but she's not one to really get in trouble if it can be avoided. @Monet Brown is a 4th year Slytherin who is just finding herself and has begun experiencing all the school girl type crush things. She's generally sweet and kind but can be a bit pompous at times. She loves art and often draws jewelry designs and the like. And then there's wee little @Tansy Tatting who is a 1st year Hufflepuff. She's sweet as pie and would love to be a fashion designer some day but she's absolutely terrified of showing any of her fashion sketches to anyone. Dunno how they'd meet and whatnot since different house and far off in year but she's always in need of friends! Rude. Trix is poor so can only offer shady storerooms as summer getaways. My attempts to quote posts for alert purposes just made a huge mess, so have non-working tags instead at least it marks who I'm addressing? Ada would probably like both your girls--probably for different reasons XD--buuut my first thought was that it would be most fun to thread Ada/Citrine to start! Ada and Justice could bond over history. It's not her favorite, but she's into the more reading-based subjects so close enough. XD Also I think she and Frida could be friends! I'm down for that if you are. I like the idea of Ada and Thomas being study buddies! On the bright side, Ada wouldn't say anything about the scandal. XD Probably she'd think "well, he seems all right" and then try not to think about it too much. Ada's kind of leery about the werewolf and probably has Opinions about it. She wouldn't say anything to Holliday, but it'd probably put a damper on them being friends, unfortunately. I don't think Harrison trying to kiss Ada would go well, which makes me want to do it. what's life without awkwardness But yeees I'd totally be into this. I mean I have Mason and @Sloane Bixby and Phineas, but idk how any of those would go. There would likely need to be some build up for it, tbh. He wouldn't just swoop in and kiss her, that's for sure. But he'd start turning the charm on tenfold with her and likely show off to try and win her over or something! (October 11, 2018 – 2:15 AM)Fortuna Lockhart Wrote: There would likely need to be some build up for it, tbh. He wouldn't just swoop in and kiss her, that's for sure. But he'd start turning the charm on tenfold with her and likely show off to try and win her over or something! Baha, that's kind of what I figured, my brain just got ahead of itself. XD That works for me! Do you want to start a thread for them? I'll throw it on my list to start!